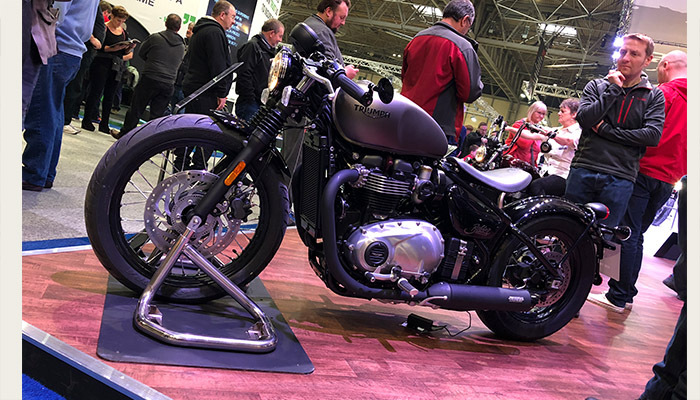 If you love your bikes there is one show you will make a beeline for every year – Motorcycle Live. It’s like all your Christmases rolled into one. 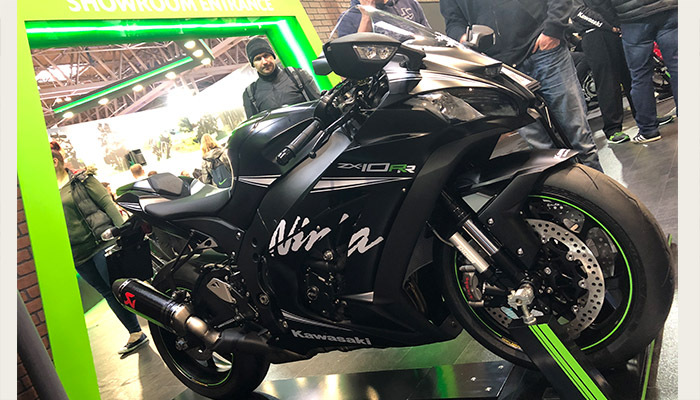 Hundreds if not thousands of bike to sit on, twist the throttle and imagine the open road between your thighs. Whooa steady, we got a bit carried away there. But seriously there is temptation around every corner. And this was no exception with some very strong trends emerging. 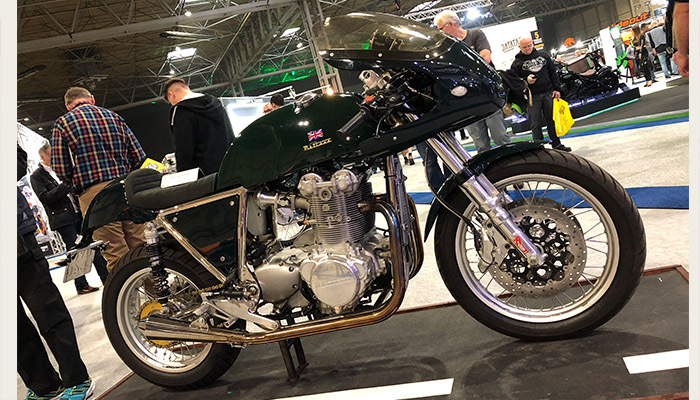 Cafe racers and bobbers we reckon being top of the list, with both mainstream and specialist manufacturers riding the wave of popularity these bikes are currently experiencing. If you’ve got money burning a hole in your pocket there were plenty of people to relieve you of the pain, not the least of whom was Brough. 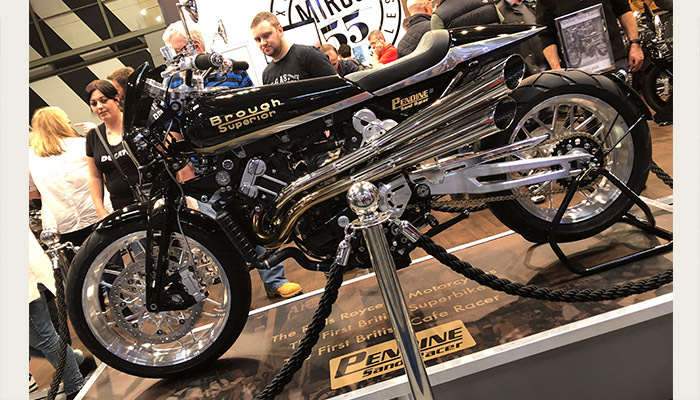 They had several exquisite bikes on show, the star being their Pendine Racer. And it wasn’t just the good looks that caught your eye, the £58k price tag was also pretty eye watering too! 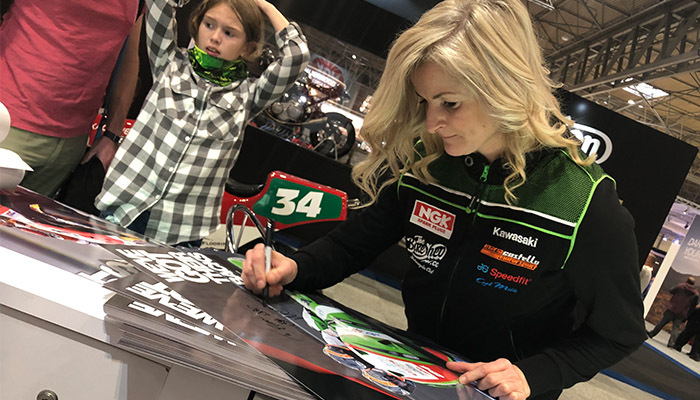 Of course we love it too because it gives us a chance to meet so many fans and have the pleasure of the company of some of our motorsport heroes, like Maria Costello MBE who was giving autographs and signing posters of her sidecar outfit which was also one of the bikes on display at NGK. If you didn’t make it this year, then be sure to stick it in your diary for next. 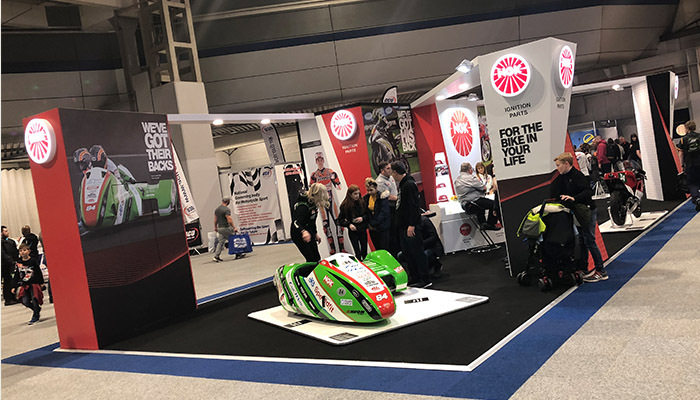 Even if two wheels aren’t your thing, a visit to Motorcycle Live could be life changing for all the right reasons!